Canada and the United States have announced sweeping measures aimed at restricting most oil and gas permitting off their respective Arctic waters, the countries’ leaders announced Dec. 20 in a joint statement. 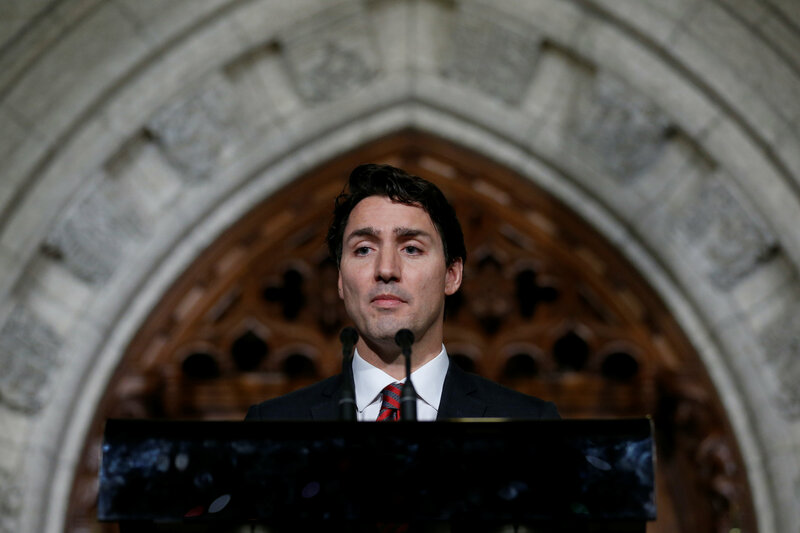 Following the creation of the U.S.-Canada shared Arctic leadership earlier this year, Prime Minister Justin Trudeau has now committed to designating all Canadian Arctic waters as “indefinitely off limits” to future offshore Arctic oil and gas licensing. That policy is to be reviewed every five years, the prime minister’s office said Dec. 20. For its part, the U.S. is designating most U.S. waters in the Chukchi and Beaufort Seas off limits to oil and gas leasing, President Barack Obama announced in the joint statement. At the launch of the Shared Arctic leadership model, both leaders affirmed goals to protect at least 17 per cent of Arctic land areas from development and 10 per cent of marine areas by 2020. At the same event, Obama and Trudeau pledged to build a sustainable Arctic economy, one that meets high environmental standards and respects the livelihood of its Indigenous population. The framework will include priority areas, the statement said, such as infrastructure, education and economic development and the environment—namely, the “last ice area” where summer ice remains each year. Canada also reiterated its plans to reduce the reliance of northern communities on diesel by investing in renewable power. • Canada and the U.S. commit to a legally-binding agreement to prevent unregulated commercial fisheries in the Arctic High Seas until a internationally-recognized management plan, currently in the works, is in place. Over the last year, the U.S. and Canada say they’ve consulted widely on Arctic issues, in the process finding “a strong desire for real and long-term opportunities to build strong families, communities and robust economics,” the statement said. It’s unclear, however, if Obama’s commitments will hold under a new Trump administration and Republican-controlled Congress next year.